Hey all! So I usually don't throw little personal posts like this together, but I wanted to share the news. As I was turning back towards him, I said, "Well that one sucked, let me take another". That's when I saw him out of the corner of my eye, on one knee. My brain died. I literally felt like I was going to throw up, because my head had left my body, my heart was racing, and I was floating. For a split second I thought he was messing with me (as he is known to do), so my first response was, "Are you f*cking serious?!". Very romantic, I know. We started laughing, for a solid 30 seconds. Then he finally asked if I would marry him, which of course I said yes to immediately! So there's my whole engagement story. I've always loved hearing my couples engagement stories (and try not to cry at them), and now I have my own. It perfect, and so perfectly us. I'd love to hear some of yours, leave me a comment! 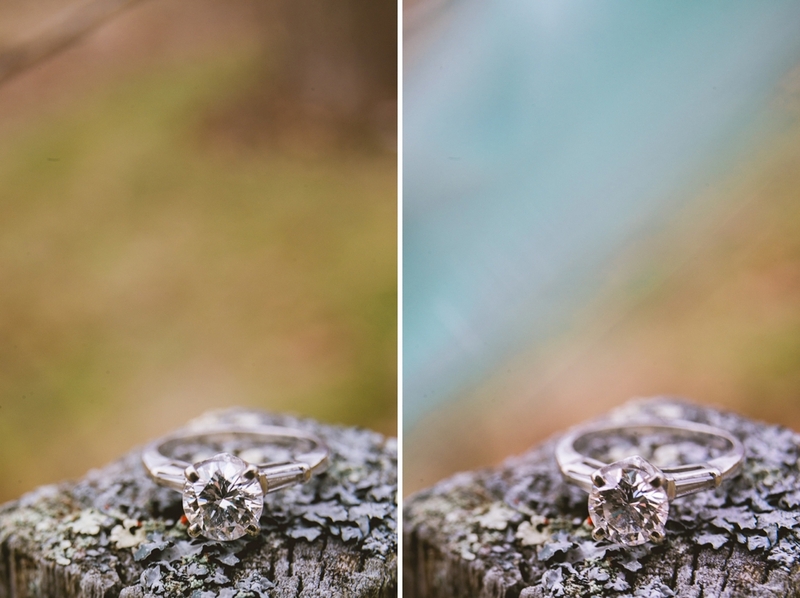 What type of photographer would I be if I didn't geek out over the ring, and take about a million photos of it. Here's just a small sampling.